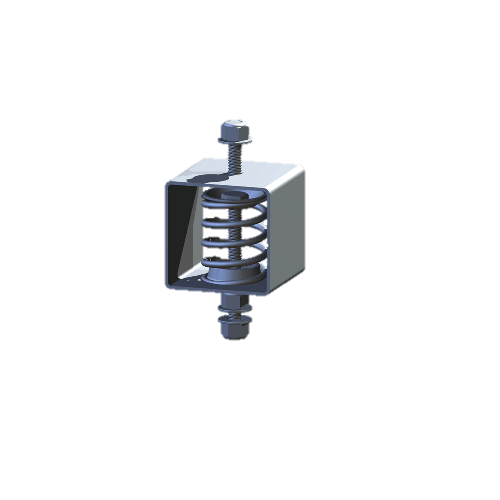 The SLH002 Spring Hanger is designed to absorb vibration to or from suspended loads. The double nut construction of the light fixture suspension bolt allows easy adjustment of up to 1/2” (12.7 mm) when installed on uneven surfaces. The SLH002 Spring Hanger is constructed of 100% stainless steel so there is no degradation from exposure to extreme environmental conditions.